As their three year old granite, quartz, and stone company continues to grow, owners Fred Caro and David Gentry refuse to remain idle. “We’ve got excellent momentum and now is the time to reinvest back into the company so we can continue to capture more business and expand out geographical footprint,” said Fred. Renovated kitchens, have gone form a simple lifestyle choice to something more of a requirement. “Without a doubt, kitchens and bathrooms are the two rooms of emphasis. Years ago it was okay to just be functional. But today, that’s no longer the case. Upgrading a kitchen and a bathroom is no longer a luxury, to maintain value and improve livability, it’s now a necessity,” said Fed. 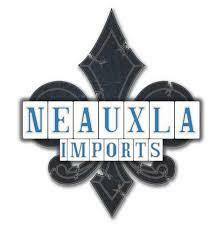 Neauxla Imports is literally tooling up to more efficiently handle all jobs regardless of size and scope. Confident that they have the talent already in place, the missing piece was a new more powerful CNC stone saw. A “CNC” saw or a computer numerical control router, is a more elaborate and precise cutting machine related to the hand-held router used for cutting various hard materials, such as wood, composites, aluminium, steel, plastics, glass, etc. Rather than routing by hand, the CNC paths are controlled via computer numerical control. Armed with this new piece of equipment makes Neauxla Imports even better. Deliverable times have increased dramatically with a more efficient process. Neaulax Imports always welcomes visitors to their Kenner showroom where the stone selection and the process can be viewed first hand. Selecting the right type of stone need not be an intimidating process. Neauxla Imports promises to make the experience easy and stress free.